Why take lessons with Teachers 2 Go? Being professionals and teachers ourselves, we know teachers and students! We know the importance of working with teachers who take the time to understand the student and what they need or want to achieve as well as their preferences and ability, and we take into account the student’s age and personality when matching them with a teacher. We also take the time to check with our expert instructors who have the knowledge to answer any subject related questions that you may have. We have a network of teachers with specialists in most every subject - From piano, dance, & cooking instruction to math, chemistry, and languages - we have a teacher for every subject, level, and age group in your family. With Teachers 2 Go, you have the option of learning anything that peaks your interest - you don't have to be stuck learning only one thing! Diversity is our strength. Let us know what you're interested in learning! We are not just a national website with a 1(800) number and no local office or presence. If you have any questions or concerns, you can come to us—we are not in Atlanta, Dallas, or New York City. Our home base is here, and our office location is at 800 Wilcrest Dr, 77042. From the time you contact us to the time of your first lesson, we are hands on in the process of finding the right teacher who will go to your location at a time that works for both you and the instructor. We will work with you to resolve any questions, and this doesn't stop after the first lesson. We strive to ensure your lesson experience is always fun and enjoyable for as long as you are taking lessons with us. We all know Houston is a big place! We understand your schedule may be busy and that you may not have the time or energy to drive somewhere else to take lessons, or perhaps there aren't any places in your area that teach what you want to learn. That's why we come to you! Experience the convenience of top quality teachers and tutors of all subjects who come to you to teach in your home. We have students as young as age 4 to adults as old as 97. It is never too early or too late to start learning -- in fact, a lot of our best students are beginners and seniors! 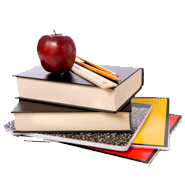 All of our teachers are skilled tutors and/or degreed professionals with experience and ability. They are friendly and approachable, and we have a wide network to choose from. Most importantly though - teaching is their passion! We go through a very selective screening process when we choose our teachers -- we screen them specifically on their teaching ability, not just their resume or performing ability. We only work with the best, and we treat them accordingly! Rest assured because your safety is of the utmost concern to us, all of our teachers are required to go through a mandatory background check.